So it’s breakfast. Food is already prepared by the help, but then I have been craving for this sandwich how many days now. I used to make it when I was younger, but in a more rough and untrained way. It was still good anyway. 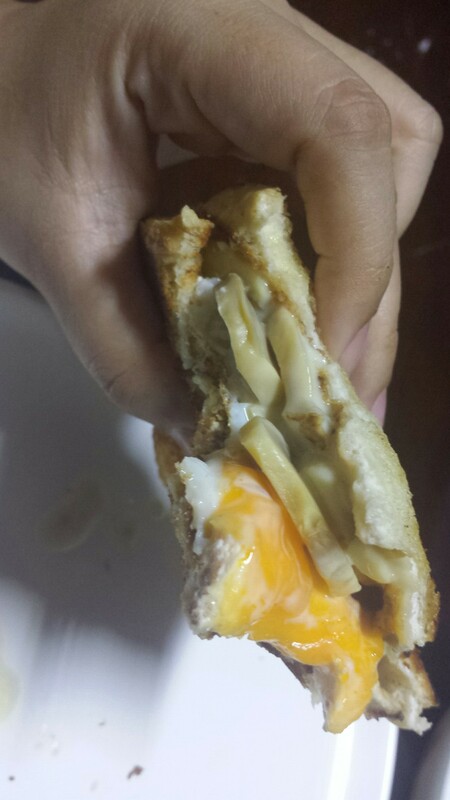 Egg sandwich. And no, not the egg spread, I do not like mayo too much. So what’s up with grilled cheese sandwiches? I have been on a kick. it’s a cross between the influences of the boyfie Matt, and my love for paninis. 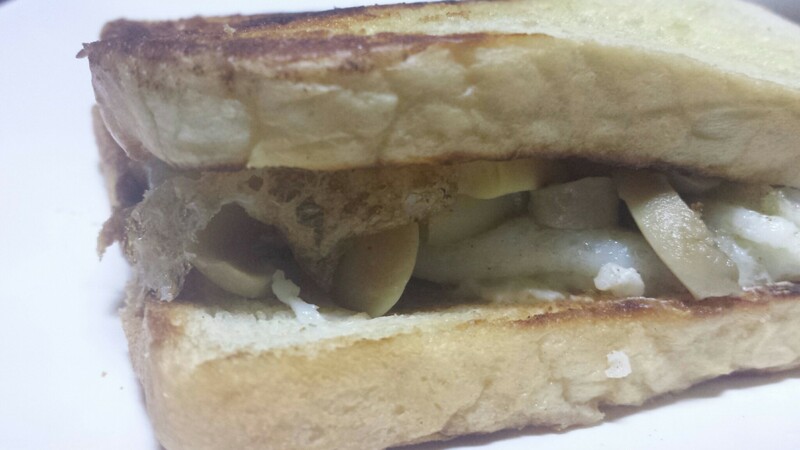 Yeah, grilled cheese sandwiches aren’t paninis if they weren’t pressed and all that, but its close enough. So I have been combining the two ideas. This time, I remember using eggs as my protein. 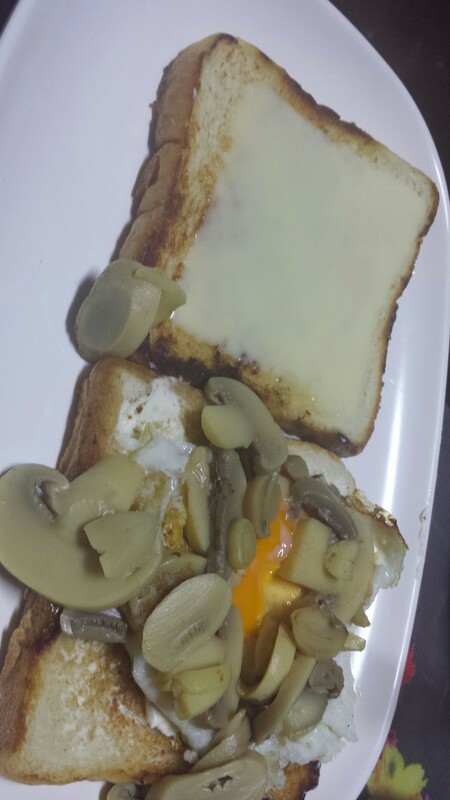 And sandwiching an egg over easy, between two kinds of cheeses on buttered toasts, with some mushroom thrown in. Ahhhhhhh. Forgive my pictures. This was early in the morning. But damn, that was some good breakfast!